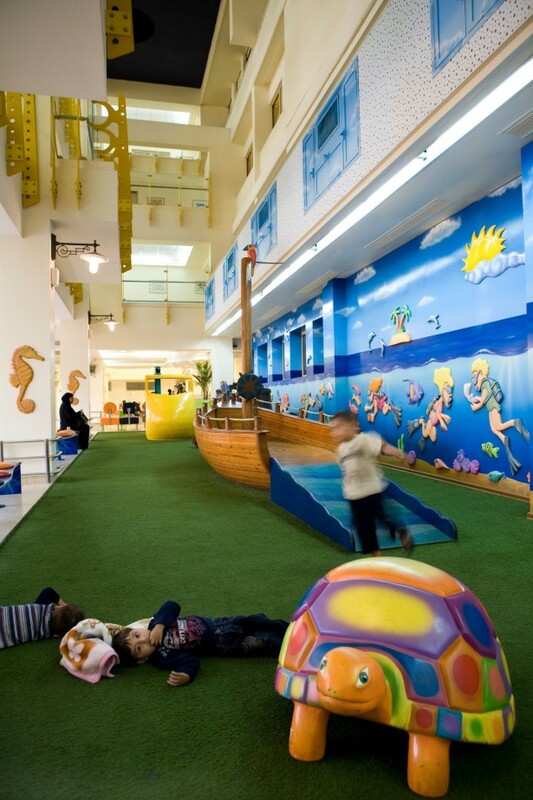 Completed in 2002, and now known as the best such facility in Israel, the Edmond and Lily Safra Children’s Hospital at the Chaim Sheba Medical Center in Tel Hashomer welcomes patients from across the country, the Palestinian Authority, and the Mediterranean and Near East regions. The Hospital receives 8,000 inpatient admissions and 60,000 visits to its emergency room and ambulatory services every year, while also providing emergency services at secondary centers across Israel. As part of its “compassionate care” philosophy, the Hospital has been declared a “pain free” center: every potentially painful procedure is performed with the aid of the Pediatric Anesthesiology Service. The Hospital is a national leader in pediatric innovation: its services include a state-of-the-art intensive care unit with an intermediate step-down unit for babies requiring special or intensive care; an inpatient hematological unit that performs bone marrow transplants and intensive chemotherapy; an outpatient clinical service and day-center for oncology patients; and a pediatric hospice. 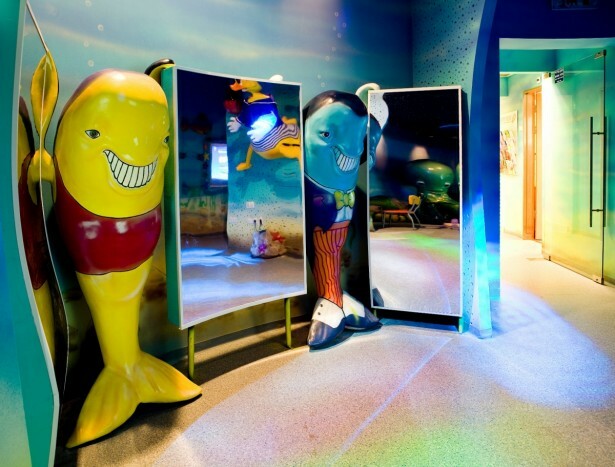 The Edmond and Lily Safra Children’s Hospital is also home to a pediatric surgical department that serves all of the pediatric subspecialties including neurosurgery, cardiac surgery, orthopedics, and urology. The Edmond J. Safra International Congenital Heart Center is composed of an intensive care unit, a pediatric cardiology unit, a pediatric catheterization suite, and a pediatric surgery suite, as well as operating theatres that allow for a complete hands-free environment, representing a significant technological advance for pediatric cardiac surgery. The Hospital has witnessed many “firsts”, including a child development center that was the first of its kind in Israel, and a day-center that serves autistic children. Its multidisciplinary Department of Pediatric Intensive Care remains the largest in the country, and its rehabilitation and pediatric psychiatry departments, each with inpatient and day facilities, are nationally recognized. 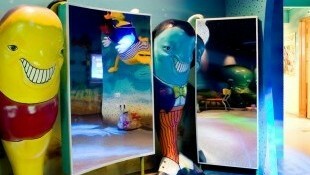 The Edmond and Lily Safra Children’s Hospital’s strength also lies within its specialist medical teams. Its staff, many of whom have been trained at some of the best pediatric institutions around the world, take a collaborative approach in attending to each child’s individual needs. All of the Hospital’s departments are affiliated with Tel Aviv University’s Sackler School of Medicine, and its physicians are actively involved in both teaching and research. 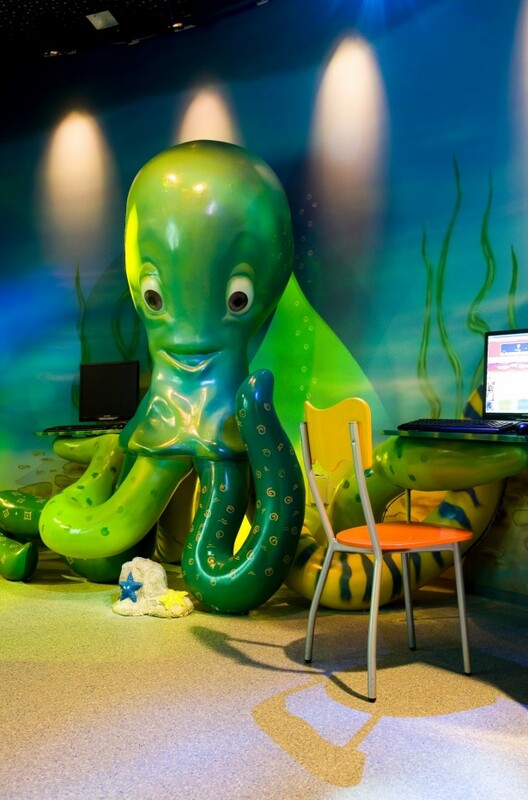 Healing at The Edmond and Lily Safra Children’s Hospital takes place not only through traditional medicine but also through the creative and comforting environment of its physical space. 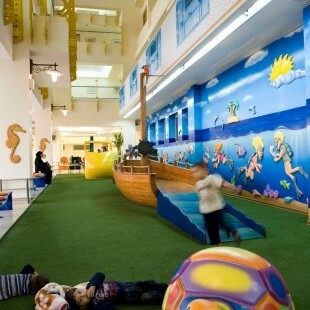 The Garden of the Senses encourages children’s imaginations with abstract sculptures and hidden corners to explore. The view of the garden from the upper floors of the hospital was an important aspect of its design, ensuring that children who are not able to go out can still benefit from the stimulation of the shapes and colors below. 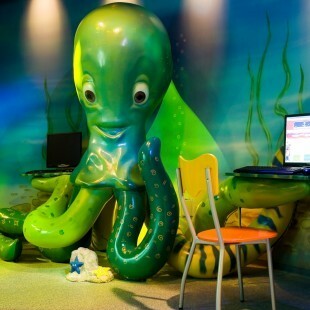 In keeping with this theme, the Hospital’s Pediatric Anesthesia Center is decorated with life-size and colorful models of frogs, and its “Laughing Room”, a fully-enclosed fantasy center complete with state-of-the-art multimedia special effects, never fails to bring a smile to every face. To learn more please visit the project website: www.sheba.co.il.